THE STREET THEATRE, CANBERRA, 8th June, 2016. 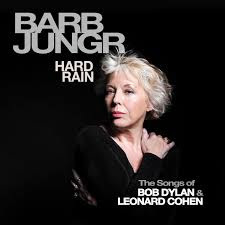 You don’t have to be a devotee of either Bob Dylan or Leonard Cohen to appreciate the respect and admiration for their work that Barb Jungr brings to her remarkable exploration of their songs. Jungr’s is certainly not a sycophantic fan’s view, but an insightful, forensic examination into what was in the composer’s minds as they wrote the songs. If this suggests a dry, scholarly evening, nothing could be further from the truth. In fact the program proved remarkably entertaining, with the audience often rocking with laughter at Jungr’s no-nonsense asides and observations. But as entertaining as she is as a raconteur, it is Jungr’s extraordinary voice and delivery which holds her audience spellbound as she moves through the intricate rap-like lyrics of Bob Dylan’s It’s Alright Ma (I’m Only Bleeding) , with which she commenced the program, to her remarkable re-working of his Blowin in the Wind which was her finale. Scattered through the program, other Dylan inclusions included re-workings of his Things Have Changed, Masters of War, Times They are A’Changing, Hard Rain and Blind Willie McTell. Her Leonard Cohen selections were no less compelling and commenced with a mesmerising account of his Who By Fire which she introduced as being a song about death. First We Take Manhattan, Everybody Knows, The Future were included as well as a really lovely version of A Thousand Kisses Deep. For her only Canberra concert, as the opening act in the 2016 Capital Jazz Project, Jungr was accompanied, superbly, by pianist Mark Fitzgibbon. 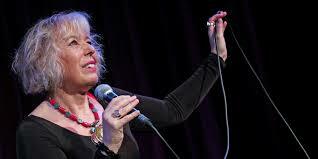 She will also be appearing in the Adelaide Cabaret Festival from June 9th – 13th before her final Australian performances at The Bird's Basement in Melbourne on June 16th and 17th, all part of her 2016 Australian tour.